It’s nice to see a photograph of Alan Chadwick [“Big ideas,” page 12, fall 2015]. The description of him as a “quirky master gardener,” who “by 1981 … had left” leaves out far too much. UC Santa Cruz prided itself on not being mainstream while Mr. Chadwick was there. While he may have epitomized aspects of the school’s visionary character, he was no more quirky than Jasper Rose, Mary Holmes, or Ralph Abraham, to name just a few of the great, truly mind-stretching teachers who made Santa Cruz special back then. I suggest you devote an entire issue to the quirky ones—and don’t leave out the controversies that sometimes surrounded them. 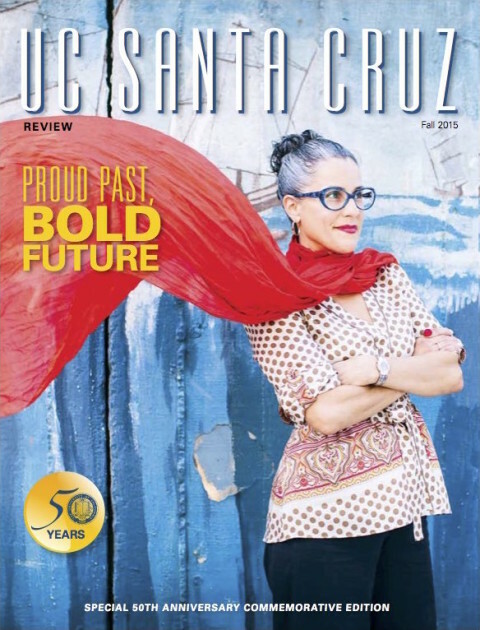 The fall 2015 issue of UC Santa Cruz Review is filled with interesting articles about the campus. However, I found a serious error in the story on page 45 about Alfred Hahn and the Hahn Student Services building [Philanthropy Focus, “Names of Fame,” page 42]. The fire in 1971 did not burn the building to the ground. There was serious and extensive fire damage to the second floor and roof, but the structure remained intact, due to the concrete outer structure. I worked in the building at that time and was in the Registrar’s Office on the first floor. I well remember that morning. By mid-morning of that day, I was inside the office evaluating damage and clean-up options. There was extensive smoke, water, and fire retardant damage to most of the offices on the first floor. Due to the damage, the building was evacuated and all the offices were relocated across the campus. Many offices moved into the newly completed Family Student Housing apartments. The Registrar’s Office relocated to the fourth floor of McHenry Library. Following the extensive repairs to the Central Services building, all the offices returned to the building some months later. I’ve just read through the fall 2015 Review. What an interesting and enlightening edition! In the “Names of Fame” article [Philanthropy Focus, page 42], the section about the Hahn family mentions that the Hahn bequest created the Leadership Opportunity Award for local community college students. The Hahn bequest did fund scholarships for local students, but this award actually was founded by Chancellor Karl Pister in the early 1990s, and later was named after him, the Karl S. Pister Leadership Opportunity Award (financialaid.ucsc.edu/types-of-aid/scholarships/pister.html). I served as the Admissions liaison for the program until I retired in 2011 and just wanted to be sure that Chancellor Pister receives the credit he deserves for this remarkable program for local-area community college transfer students. Editor’s note: This is correct. Karl Pister did establish the Leadership Opportunity Program, and it was later named after him. We apologize for these errors and have made changes to the online version of the story. During the summer of 1967, Alan Chadwick was at work in his gardens as almost fifty of us gathered on the Cowell campus for what may have been the most remarkable program ever offered by UCSC, titled Methuselah I. We were what might have been considered a motley crew, including young parents, single mothers, retirees, book review editor of the SF Chronicle, Director of Continuing Education of Northeastern University, and a Spanish Civil War veteran. The Program was advertised across the country in newspapers and magazines, promising a stimulating educational experience with no exams or lengthy papers, just assigned readings and fascinating discussions. 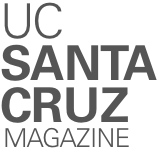 UCSC faculty would include Maurice Natanson, John Dizikes, and Albert ofstadter. There would be weekly visiting evening lecturers including Howard Nemerov, Walker Evans, and Angus Wilson. Admission was by letter of intent and scholarships would be available. For me, Nethuselah promised to be the ideal interlude following my divorcce in early July and prior to my entering a graduate program at the University of Toronto in September. I responded to an ad in the Oakland Tribune, wrote my letter of intent, was accepted with a scholarship, and was assigned a room in Adams for myself and an adjoining room for my fifteen-year-old son. We gathered at 8:00 p.m. on July 16th in the Cowell Memorial Conference Room for a sherry reception for what proved to be for me the beginning of the most memorable summer of my life. The combination of intellectual stimulation, social interaction, afternoons at the pool or Natural Bridges’ and after-hours wine gatherings to discuss the day’s events proved to be the ultimate educational vacation experience. The summer of 2017 will be the 50th anniversary of this remarkable one-time event. Now, at age ninety-one, I appreciate the offerings of OsherLII while regretting that Methuselah did not become an annual educational experience.